Black Studies is in "spring training" mode right now. We decided to take a break from our regular, robust programming routine for the semester. The small things we're doing this semester are primarily prep for Fall 2011 when we move forward with our Building Consciousness campaign and activities. This past Wednesday, March 23, we hosted a reception for Atlantic senior editor and blogger Ta-Nehisi Coates. The good sisters Cindy Lyles and Danielle Hall really brought things together. 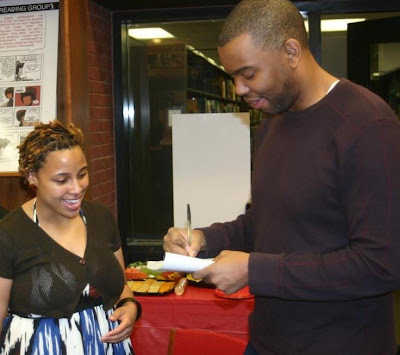 They organized the room and also led the conversation with Coates about his memoir The Beautiful Struggle. Our regular contributor Dometi Pongo also took part in the conversation. Coates was clearly impressed with the questions and level of discussion from our crew. In the fall of 2011, we'll coordinate a reading project focusing on Coates's book for a group of incoming students. Cindy and Danielle have already been assisting me with setup for the project. I'm excited about the possibilities. 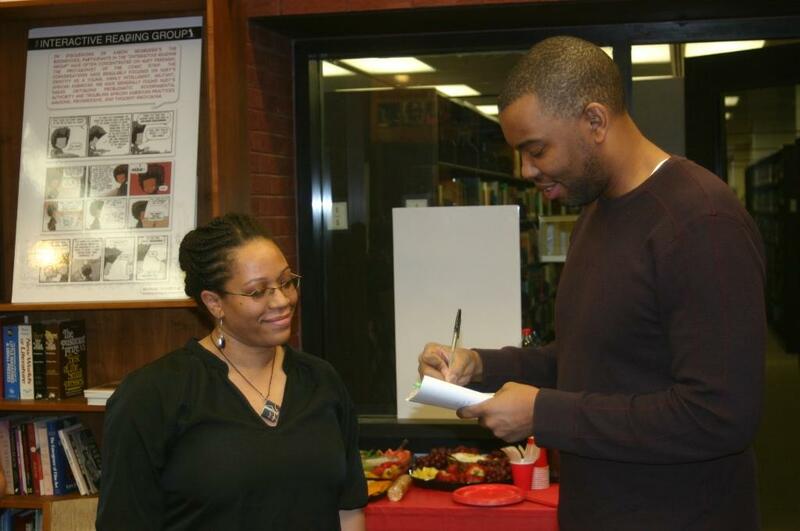 Coates signing book for Danielle Hall. 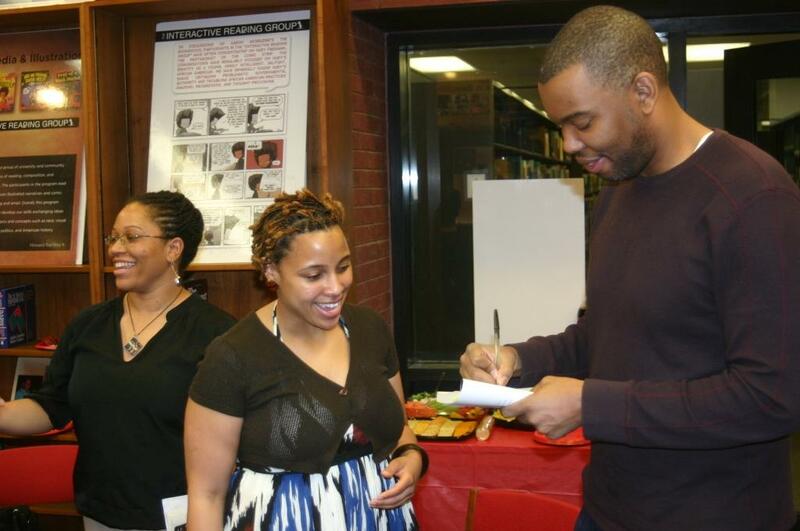 During the discussion with Coates about the book, Dometi, Cindy, and Danielle frequently mentioned how Coates's writing style connected to music, especially rap. Their interests led us on some wide-ranging considerations of hip hop, literary texts, history and reading or literacy practices. For our fall 2011 reading project focusing on Coates's book, I'm sure those and other topics will emerge.